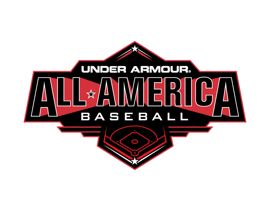 Baltimore, MD (June 30, 2017) – Under Armour, Inc. (NYSE:UA, UAA) the leader in performance footwear, apparel and equipment, today is excited to announce the 3rd wave of players selected to participate in the 2017 Under Armour® All-America Baseball Game, powered by Baseball Factory. The game, which will be played at iconic Wrigley Field on Saturday, July 29th, brings together the top 40 high school players in the United States, Canada and Puerto Rico. The game, in its 10th year, will be broadcast on MLB Network. Under Armour All-Americans are selected by a committee of Baseball Factory scouts and will compete in an American vs. National team match-up. The All-America Baseball Game caps off a four-day, comprehensive baseball experience staffed by some of the game’s very best players and coaches, including a formal workout in front of Major League Baseball (MLB) scouts and a home run derby. Under Armour, the originator of performance footwear, apparel and equipment, revolutionized how athletes across the world dress. Designed to make all athletes better, the brand’s innovative products are sold worldwide to athletes at all levels. The Under Armour Connected Fitness™ platform powers the world’s largest digital health and fitness community through a suite of applications: UA Record, MapMyFitness, Endomondo and MyFitnessPal. The Under Armour global headquarters is in Baltimore, Maryland. For further information, please visit the Company’s website at www.uabiz.com. Baseball Factory has developed programs to provide players with world-class instruction and life-changing experiences, which when combined, lead to future success both on and off the field. Baseball Factory holds over 600 events nationwide each year in all 50 states and over 150 cities. We pride ourselves on giving families an unbiased assessment of where they stand against other players nationwide. Baseball Factory events have featured more than 450 players who have played or are currently playing in the Majors and over 100,000 players have gone on to play at the college level. 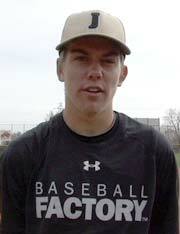 100% of Division I and Division II programs have at least one Baseball Factory alumnus on their roster. Learn more at www.baseballfactory.com.